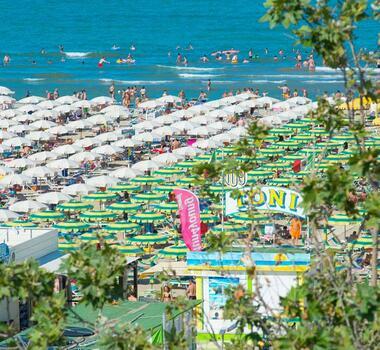 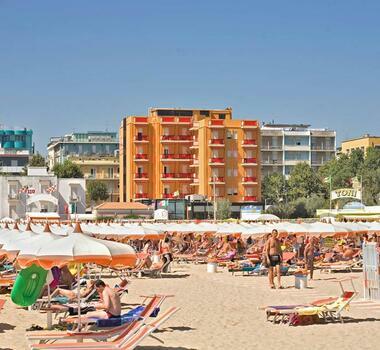 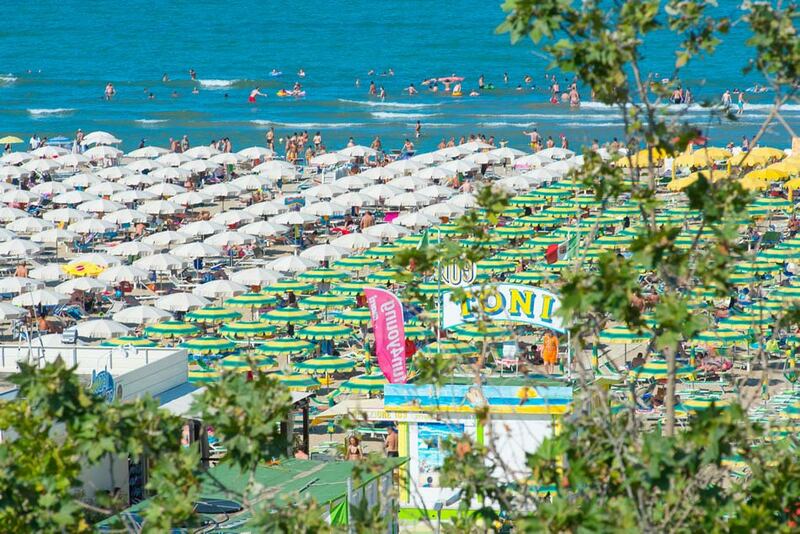 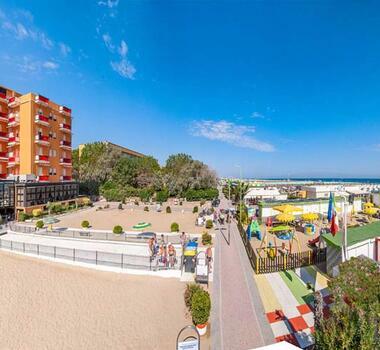 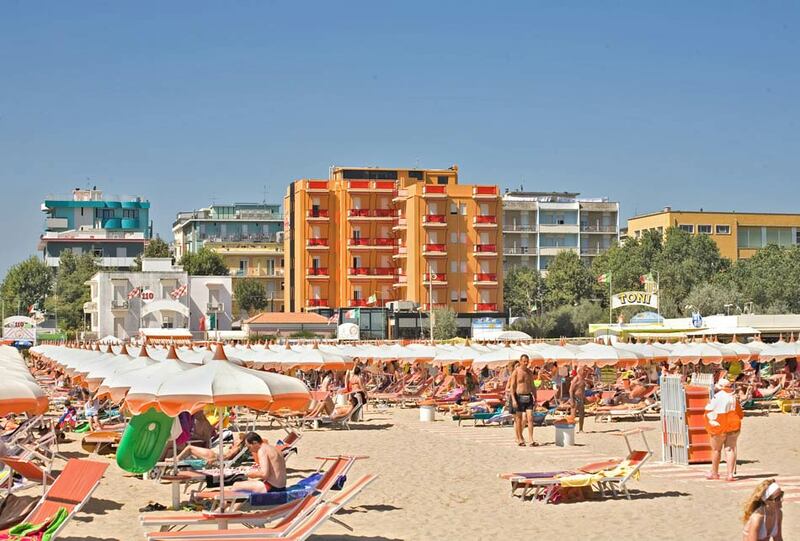 The Rivazzurra beach is one of the most equipped and appreciated in Rimini. 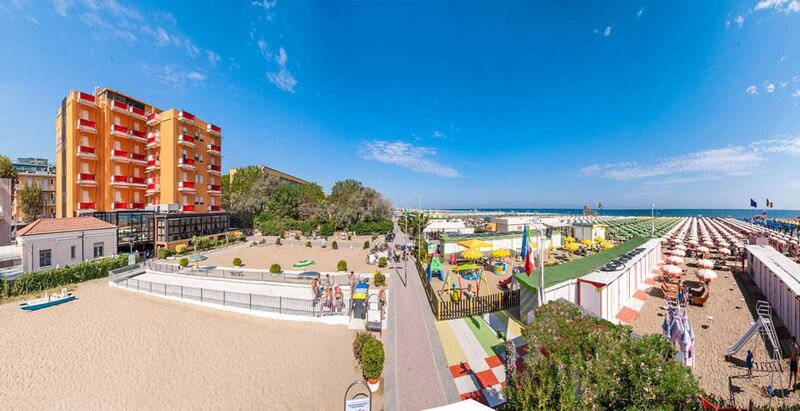 Here the bathing estabilishments have the best comforts and services, like baby club and games for children, play areas, fitness club, animation, cabins, bar and much else. 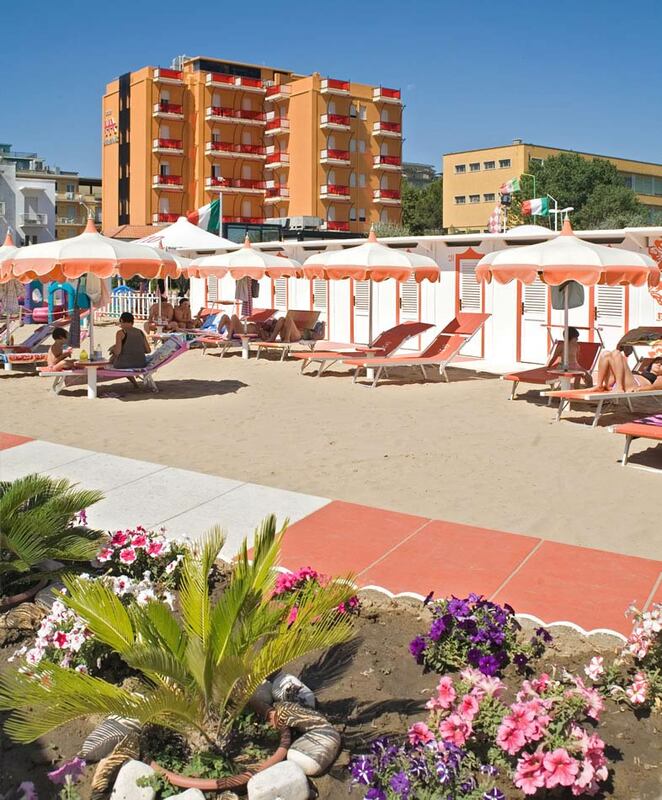 The guests, who All Inclusive Package have, can choose the beach they prefer between different bathing estabilishments. 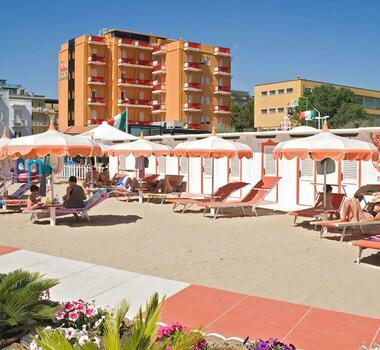 At the beach you can have one beach umbrella and two beds already included in the price.